The Archives & Research Center is open by appointment Monday through Friday. Please contact us with questions, to schedule a visit, or to learn more about our collections. The Trustees was founded in part so that people could develop relationships with the special places of Massachusetts. Whether you grew up next door to one of our properties or recently visited one for the first time, the ARC believes that you are an important piece of Trustees history. We are always happy to hear from people that would like to share their documents, pictures, art, objects, or other materials related to our reservations. 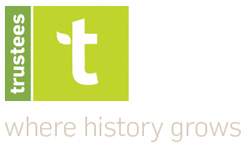 Please contact us if you would like more information on how you can contribute to Trustees history.